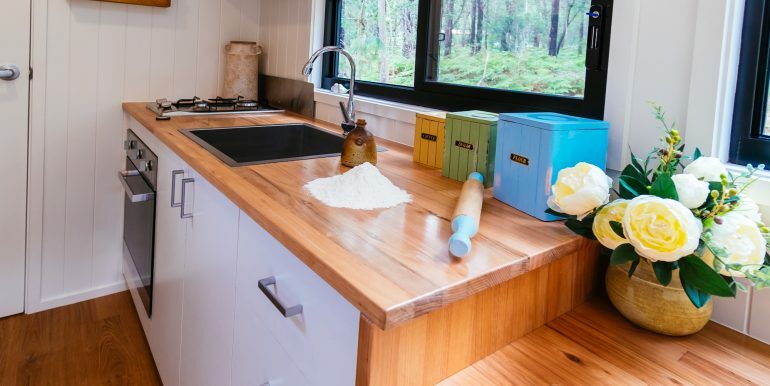 Permanent living or weekend retreat, our Graduate Series offers everything you need. 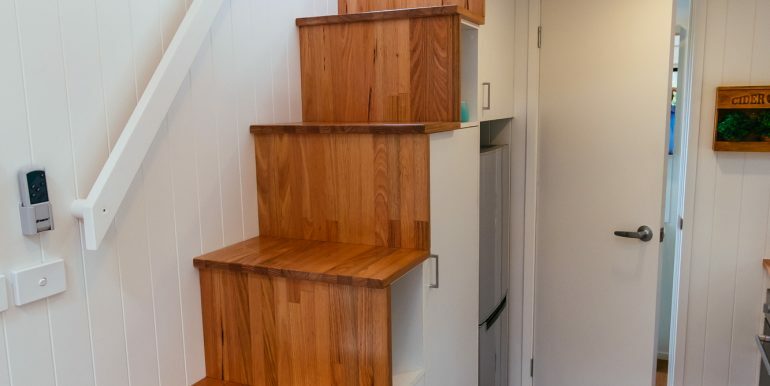 Packed with great features including our unique storage stairs, kitchen, bathroom, living/dining area, king sized and single sized sleeping lofts. 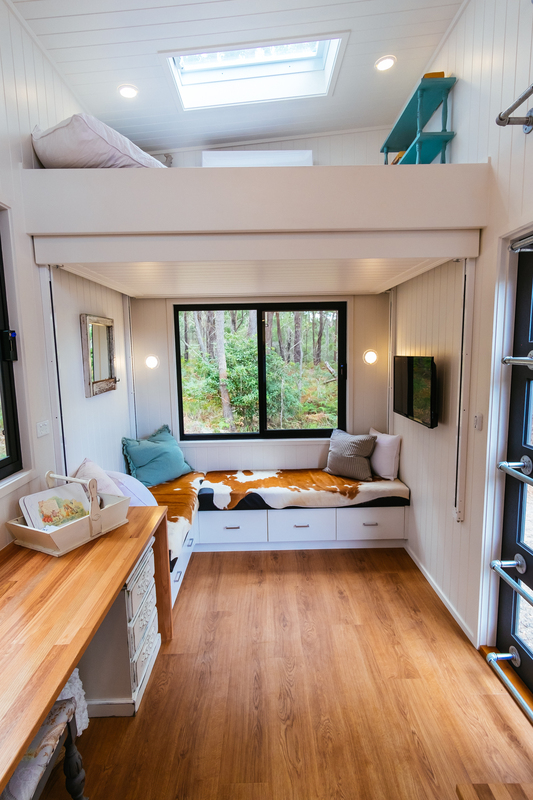 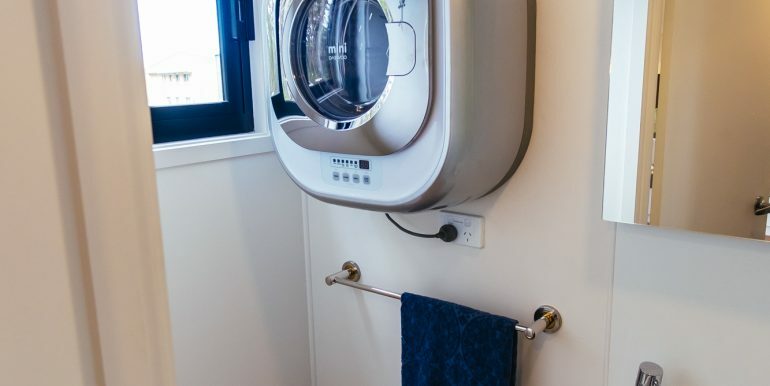 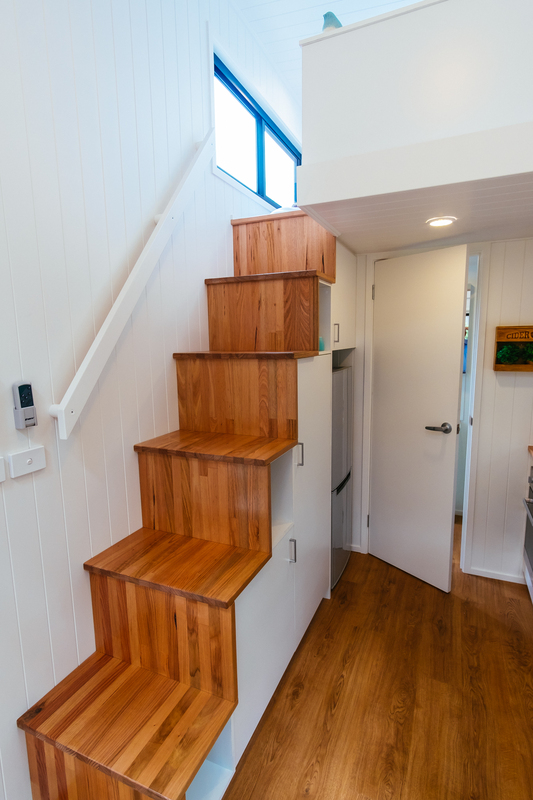 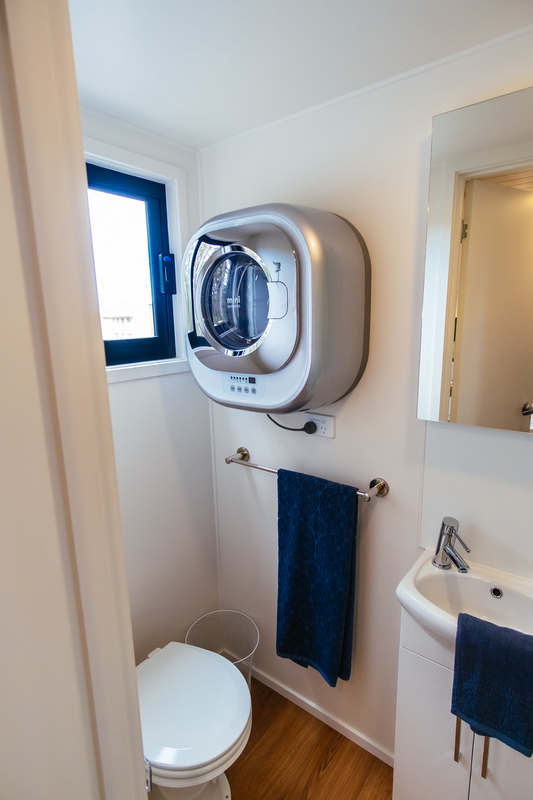 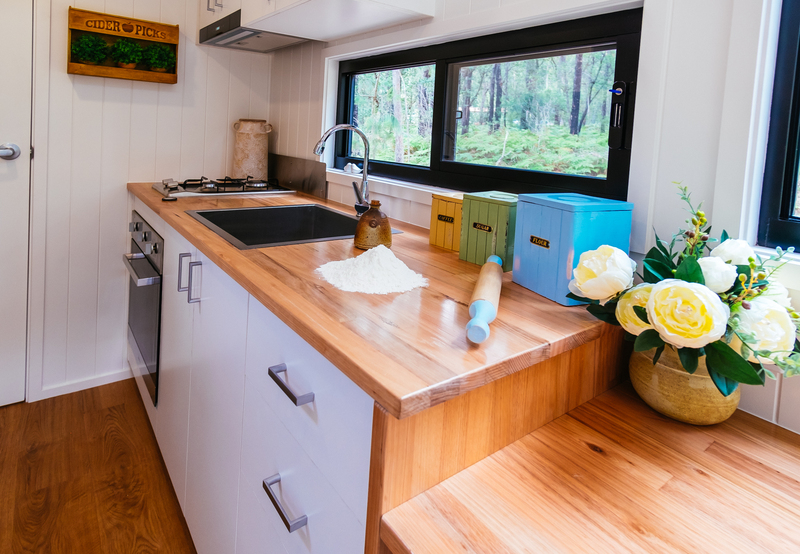 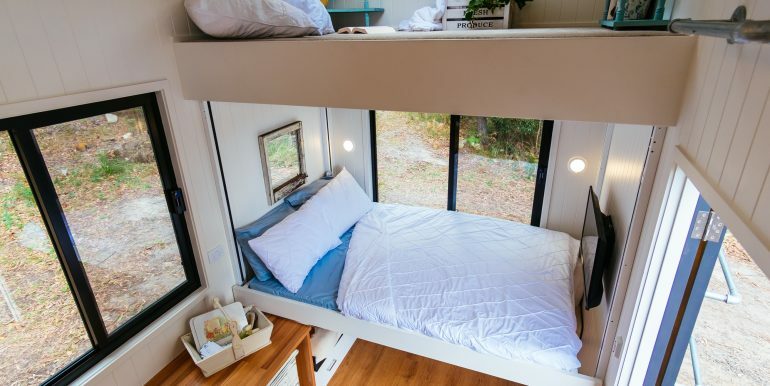 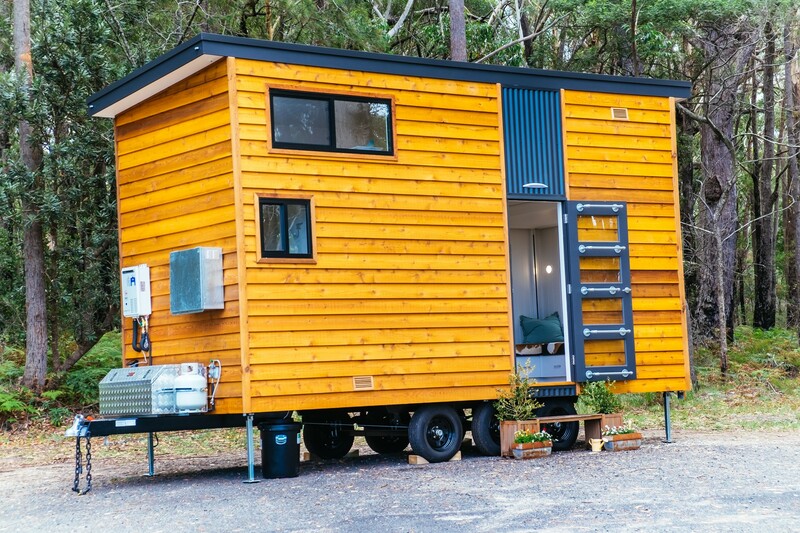 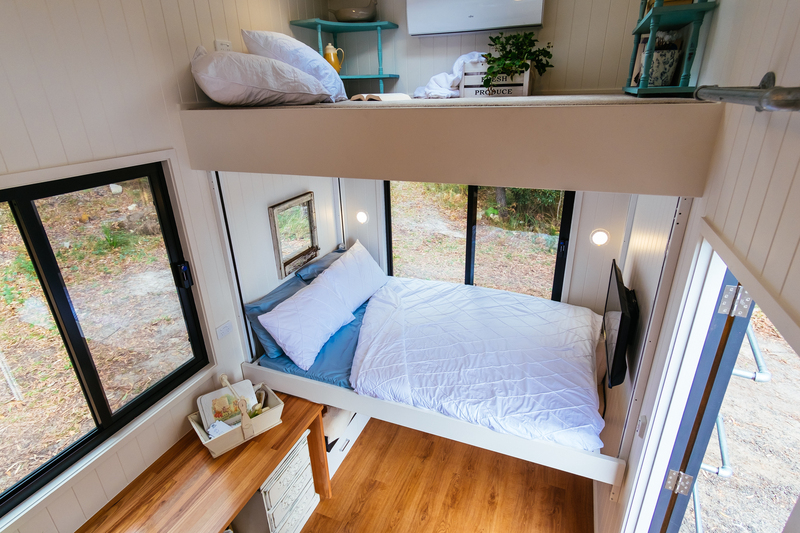 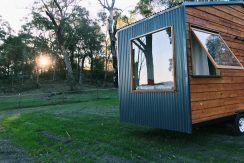 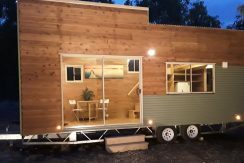 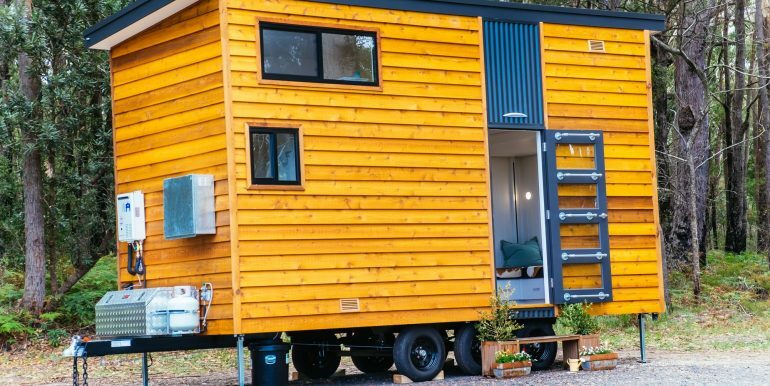 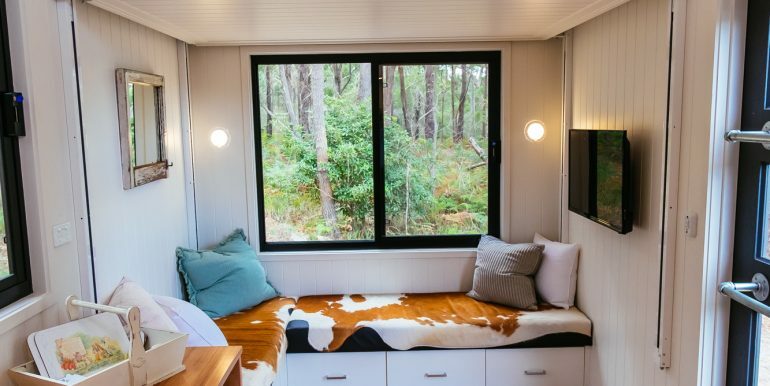 This tiny home is fitted with 1000W solar system, compost toilet, two sleeping lofts, mechanical bed lift, lounge area, kitchen, storage stairs and a bathroom.